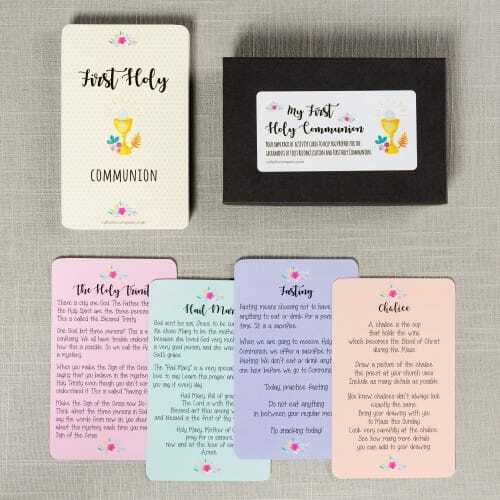 This unique 32-piece set engages girls with reflective, action-centered cards that prepare her for First Holy Communion, one card at a time. Equip her heart with faith-based topics, activities, and prayers that are ideal for delving into the beautiful mystery of the Blessed Sacrament. Adults will appreciate the Catholic content featured on each card that inspires through tone, imagination, and soft watercolor details.